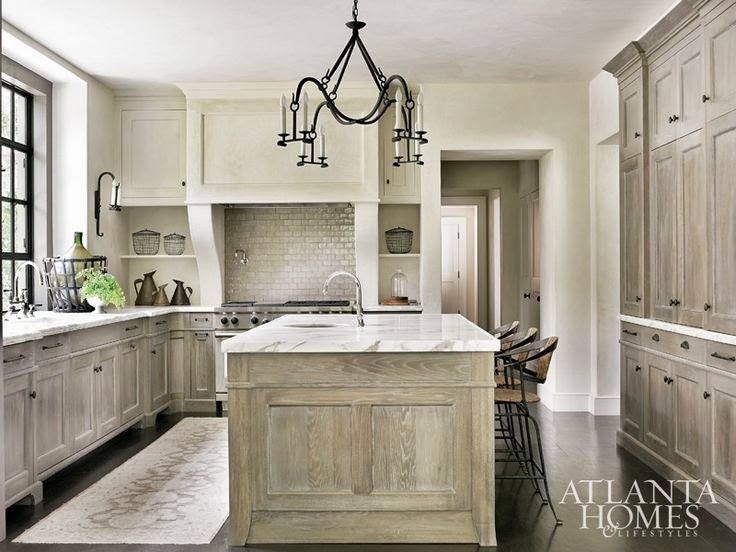 I love a classic white kitchen, but I noticed a trend toward neutral colors like taupe and gray a few years ago. 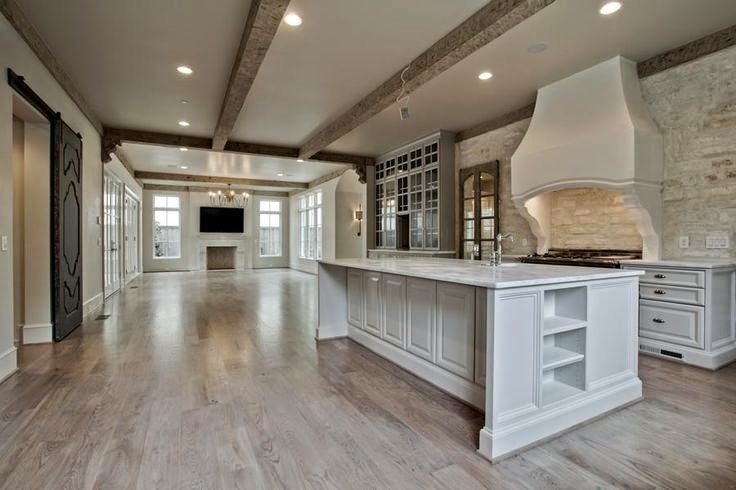 Now, I'm seeing natural woods in lighter finishes in either cabinetry or ceiling beams, too. 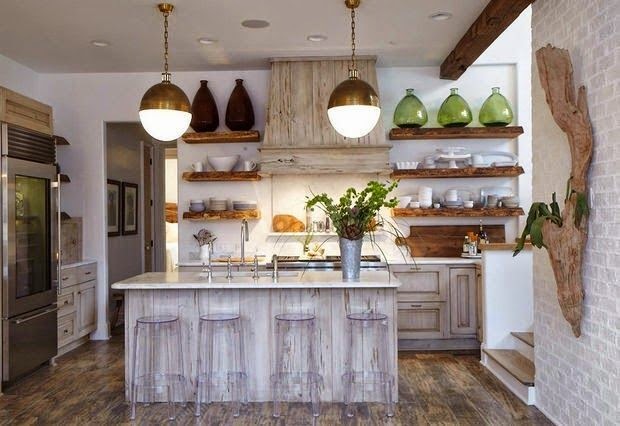 I'm happy to see kitchens that are still light and bright, but a bit warmer. This is one of my favorites. I love the gray wood that is balanced by light walls and counters. 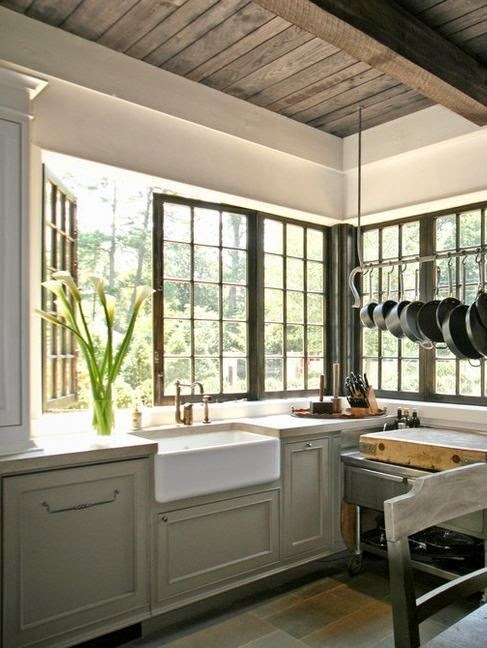 The subway tile is an updated version of the classic white we are so used to seeing. It gives this room just the right amount of sparkle. 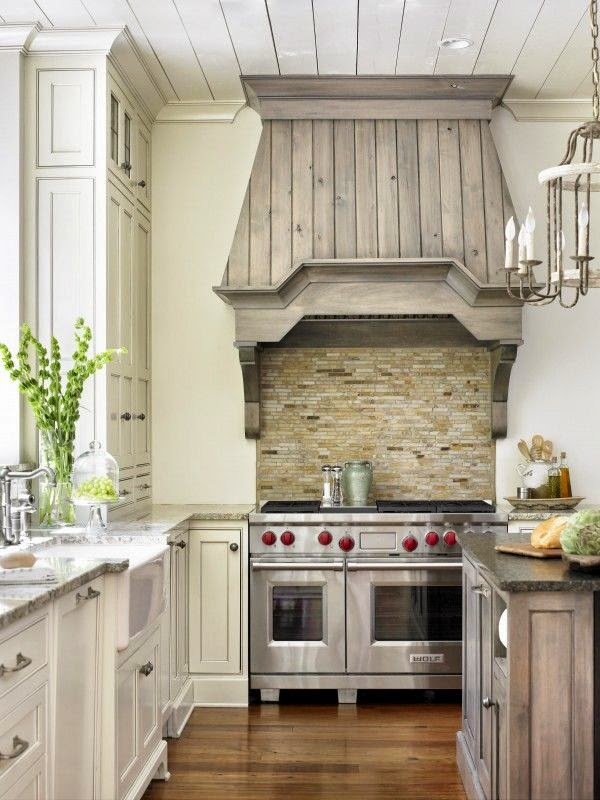 I am completely in love with this herringbone backsplash. This kitchen is still classic and white. The beams give it just enough warmth. 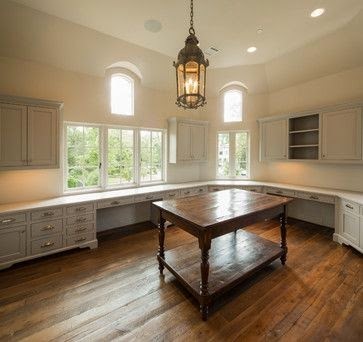 The styles of these kitchens are all so different, but every one of them are warm and inviting. I still love a good classic white kitchen, but I have added warmer wood tones through my decor the past year. Jennifer so many kitchens I love! Especially the one with the herringbone back-splash that is repeated in the backs of the bar stools!! So pretty, I just love this style. Our cabinets are wood-tone, which you see a lot of in the Pacific NW. When we remodeled our kitchen 6 years ago, I was torn between two choices - a medium wood tone or white. 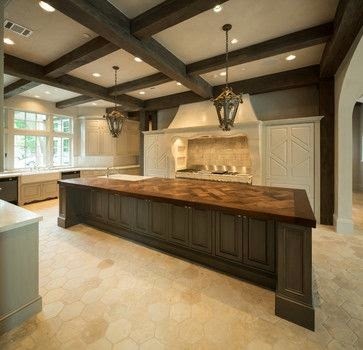 I love both wood kitchens AND white kitchens. If I had been a little braver back then, I would have mixed the two and done lower in wood, upper in white! 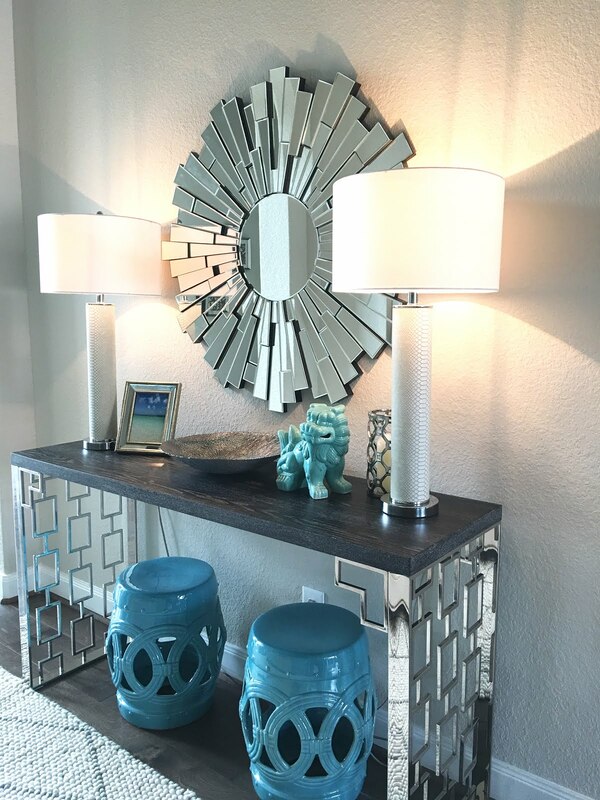 I love the lighter and grayed wood tones, so pretty!